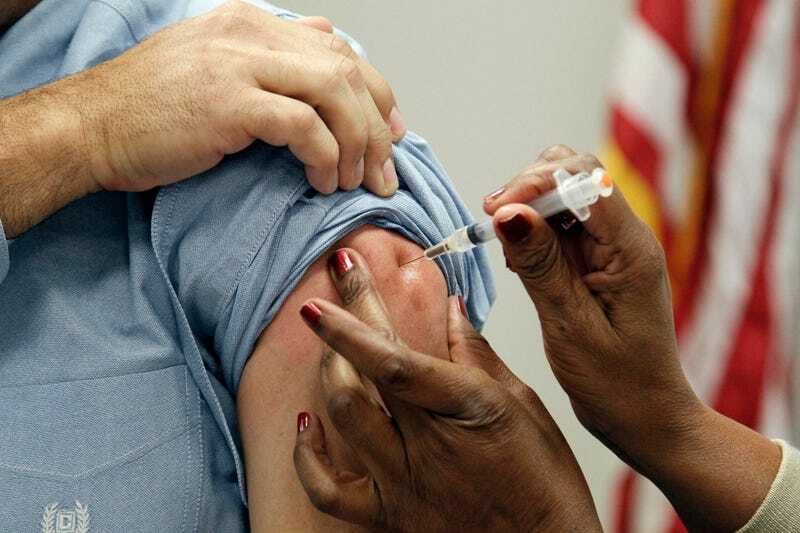 Only 42 percent of adults in the U.S. get their flu shots. A key reason for this low number is the misconception that you can catch the flu from the vaccine. But, a recent study found that, when vaccine-fearing patients heard the real facts from their doctors, they were actually more reluctant to get their flu shots. The research, published in the current issue of the journal Vaccine, was conducted by two academics—Dartmouth's Brendan Nyhan and the University of Exeter's Jason Reifler—who have spent years documenting the "backfire effect." When our belief systems are challenged, some of us tend to double-down on our views to the point where contrary facts actually reinforce our perspectives. For instance, in a previous study, when Nyhan and Reifler provided participants with factual corrections of false statements made by George W. Bush about the war in Iraq and tax cuts, staunch conservatives were only more inclined to believe that what the president had said was true. And now, it appears, we see a similar phenomenon among people who are extremely skeptical about vaccines. These patients, when given the facts about the flu vaccine, based on language drafted by the CDC, were less likely to believe the vaccination would give them the flu—but they also were less likely to get their shots. So, why would people make that choice even after they felt reassured about the vaccine's side effects? Nyhan tells the Washington Post that misperceptions about vaccines "are more a consequence of people's mixed or negative attitudes towards vaccines, rather than the cause." As a result, he explains, "when we challenge one misperception, people may simply bring to mind other misconceptions or concerns that they have, and remind themselves of their more general concern about vaccines in the first place."